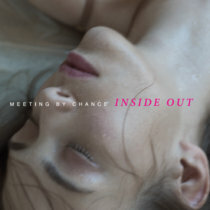 Comes in a lovely digipack format. 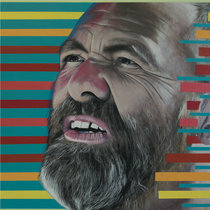 The artwork is made by Marcel Joachim. 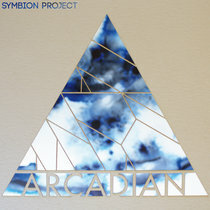 Includes unlimited streaming of Blackbook via the free Bandcamp app, plus high-quality download in MP3, FLAC and more. 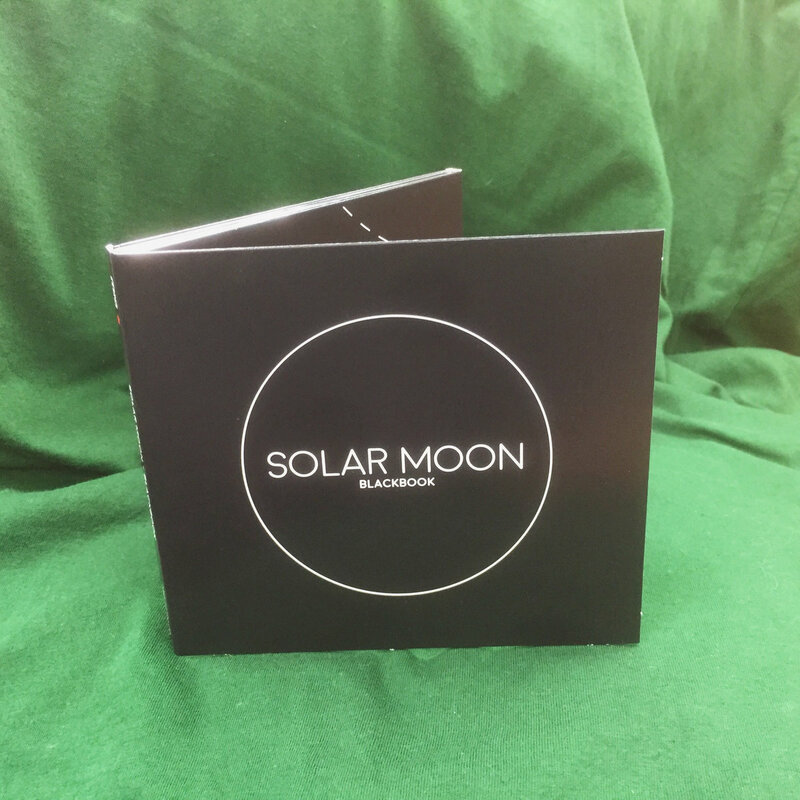 The long-and-winding-road story of Solar Moon now goes into its 25th year, at last continuing with a new chapter - which in reality turns out to be another book! 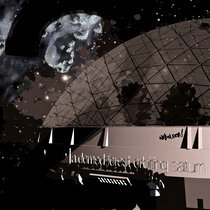 Following up on their Y2K release “Logbook” (a summary of their early works morphing from a rock band into a soundsystem collective, released through German electronic pioneer Klaus Schulze’s artist label Rainhorse Records back then) and “Guestbook” (dating from 2003 and featuring a.o. Moby/Waldeck chanteuse Joy Malcolm, bespoke Klaus Schulze and Washington DC based poetry artist JEN), the long awaited “Blackbook” is more like a summary of constantly broadening horizons. With all three band members originally hailing from Cologne, there still is quite a lot of common ground to be shared – although the individual influences couldn’t be more varied indeed. 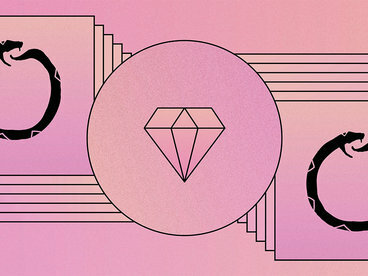 While Tom Dams still works from his recording Studio “Forstmehren” nestled somewhere deep within the German countryside and as Klaus Schulze’s producer and sound engineer, drummer Razoof chose Kampala/Uganda as his new home while spending most summers as a DJ on the Balearic island of Formentera. Meanwhile, George Solar lives and works on the neighbouring island of Ibiza all year round as a Downtempo-DJ and Ambient-percussionist for a decade now, soundtracking the most beautiful sunsets and beach bars on a regular basis. 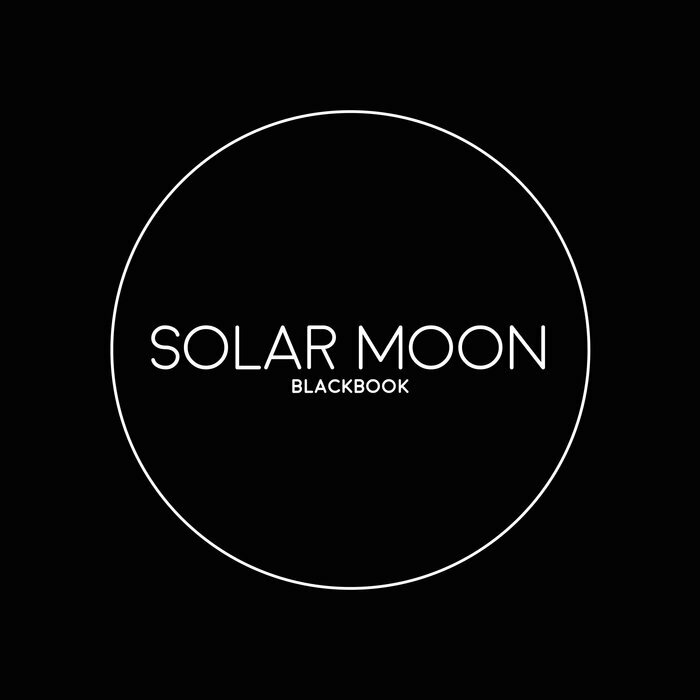 And so, “Blackbook” is the common denominator of three very different realities, sharing a vibe while constantly shifting between places and their unique habits, qualities, influences and rhythms. 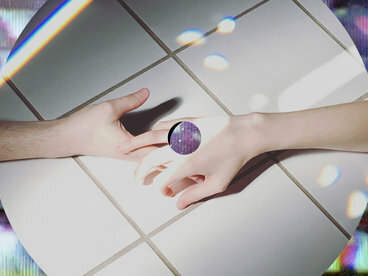 This time around, the trademark Solar Moon downtempo sound mostly features additional input from talent quite familiar to the bands’ inner circle. Trumpet/flugelhorn maestro Christoph Titz, love poet JEN, Afro-German soul/reggae crooner Don Abi and Jamaican MC John Bull Bloomfield have all collaborated with the Solar Moon collective earlier somewhere along the way – while Persian flutist Anousheh, Miss Sarah Winton (former Nightmares On Wax vocalist on the greatest hit “Les Nuits” a.o.) 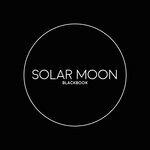 and singer Georgia Lopez all make their first steps into Solar Moon territory on “Blackbook”. 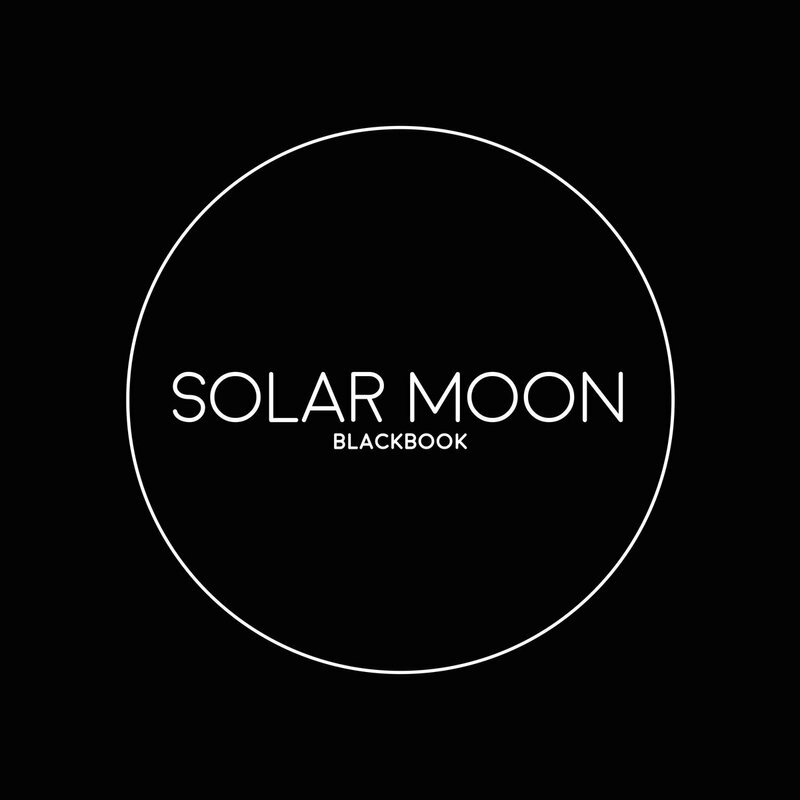 From the smooth jazzed up intro’s opening layers to the bouncy bonus track (a daring version of the infamous “Love Machine” by Supermax), the tracks on “Blackbook” were recorded between 1998 and 2017… with the live version of “Sugar Mode” recorded during a concert at Berlin’s prestigious Schillertheater on a special night in which Solar Moon opened for a sold out Klaus Schulze & Lisa Gerrard (Dead Can Dance) collaboration gig. 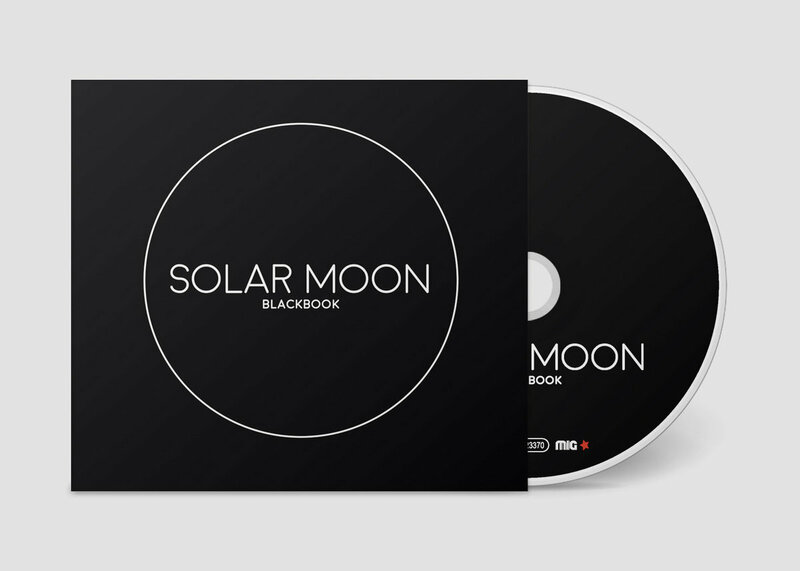 Finally, "Blackbook" curates almost weightless structures, lively rhythms as well as experimental elements and decorates them with vocals and different influences from various stylistic directions, but still retains the feeling for the distinctive Solar Moon sound. The album is an absolute highlight in the modern age of rat races and doesn’t put the main focus on the typical higher, faster and further mindset! 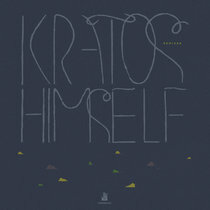 Tom Dams: Keys, Programming, Engineering, Mix, Miscellaneous, Vox on 'Unmask'. 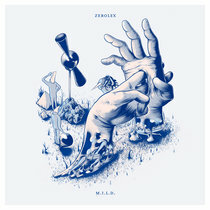 George Solar: Beats, Samples, Synbass, Wavedrum, Percussion, Add. Keys, Sofa Compatibility Control. 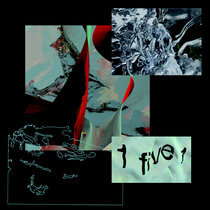 Razoof: Drums, Percussion, Field Recordings, Samples, Add. Keys, Add. Programming. Mastered by Tom Dams at Studio Forstmehren. Distributed worldwide by MIG music. Downtempo collective from Cologne, Germany, established in 1994.